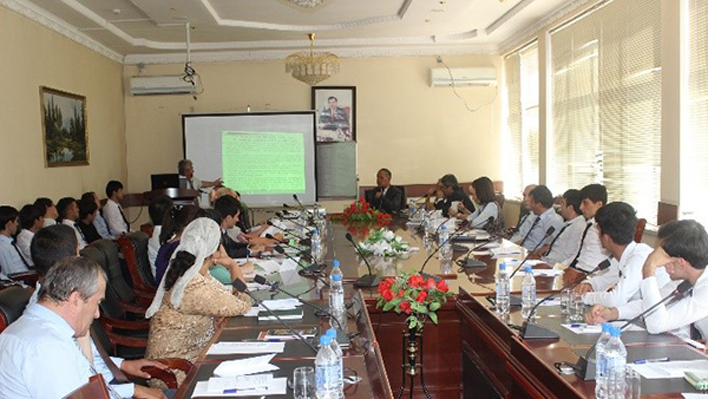 In September and October 2017, eight roundtables and four seminars were organized in the framework of UNESCO Project "Education begins with teachers in Central Asia" in Dushanbe, Tajikistan. 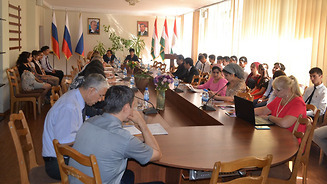 About 100 teachers, educational professionals, and about 250 students from 5 national educational institutions in Tajikistan, including Tajikistan Technical University, Tajik National University, Russian Tajik Slavonic University, Tajik National Pedagogical University, and National Institute for Teachers’ Professional Development, actively participated in the roundtables and seminars. Rustam Babajanov, National Coordinator of the UNESCO Project in Tajikistan, presented on the Sustainable Development Goals (SDGs) and their gradual implementation in the Republic of Tajikistan, in the context of the National Development Strategy of the Republic of Tajikistan. He highlighted the importance of sustainable development supported by the educational institutions. The discussions focused on the mainstreaming of SDG4, reflecting on a new global vision on quality education. In line with the Target 4.7 of SDG4, students should acquire the knowledge and skills to achieve sustainable development and lifestyle, respect for human rights, gender equality, culture of peace and non-violence, global citizenship, and cultural diversity. It is necessary to develop the skills of the 21st century in a young generation, taking into account the needs of the labor market. The methods of education which we use in classes and extracurricular activities can help develop students’ critical thinking skills, empathy, conflict resolution, and interaction with people of different nationalities." As a result of the roundtables, participants discussed concrete ways of implementing SDGs, including developing sample topics for the potential introduction of SDGs into the curricula of secondary schools and drafting and adopting a syllabus.